The island of Maui has consistently been voted the #1 island in the world, hence many investors have been attracted to the numerous offerings of Maui Luxury Vacation Rental Condos located in both South Maui and West Maui; this blog post covers and ranks the very best of these properties. A common trend you will see with these resorts, they are all located either beachfront or within very short walking distance to a spectacular beach. This post only focuses on high-end short term rental condo complexes around the island that provide the ability to help offset some ownership costs with vacation rental income. All of these properties have all of the right ingredients to generate substantial annual income and are also a great home away from home. There are many spectacular properties that didn’t make this list so if don’t find something here please do reach out to me directly so that we can start identifying what will best suit your individual needs. I have in the past and am currently representing clients at a number of these fine properties and short term vacation rental transactions are my specialty please see all of my related blog posts at the end of this post. With a total possible score of 50, I have done my best to analyze all of these properties objectively on the above mentioned criteria. I want to make clear that all of these graphs and rankings are strictly based on my professional opinion. Several of these resorts have appeared on the 2018 Conde Nast List of 25 Hawaii’s Best Resorts. Beset directly adjacent to the Wailea empire of the Grand Wailea and the iconic Wailea Beach lives the Wailea Beach Villas Condos for Sale. Wailea Beach Villas is located right next to the Shops at Wailea, but the actual onsite amenities are pretty limited for a complex of its stature. The Beach Villas were completed in 2005 and there is a high degree of consistency throughout the complex albeit there is certainly a range of interior conditions as many of the properties have since been upgraded/modified. There is an onsite management company for Wailea Beach Villas for owners to rent their properties out through and there are several approved independent rental companies that are also approved to do so. In fact, Hawaii Life Vacations just secured our first property at the Beach Villas and it’s available now Wailea Beach Villas Penthouse #206. 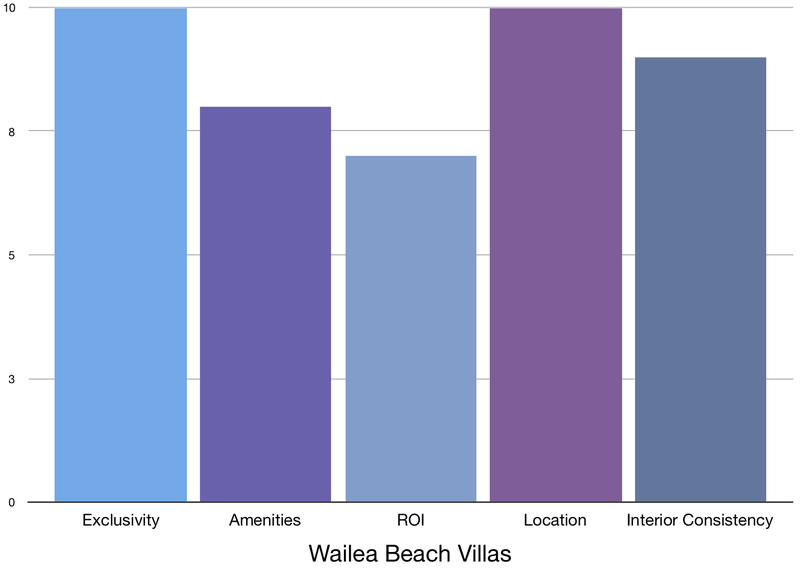 There is a very strong demand for rentals at Wailea Beach Villas but with this, the ownership costs (namely acquisition costs which now start in the $4m range up to over $13M) make the ROI substantially lower than many other complexes discussed here. However, because owners can elect to rent the properties out with an independent company rather than just the front desk, this ROI can be greatly improved. It’s my opinion that as you see more independent companies take a foothold in the Beach Villas that this aspect will drastically improve as I think the numbers could be much stronger than they currently are. Score: 39 making it #2 of 5 in South Maui. #10 out of 25 on Conde Naste’s 2018 List. 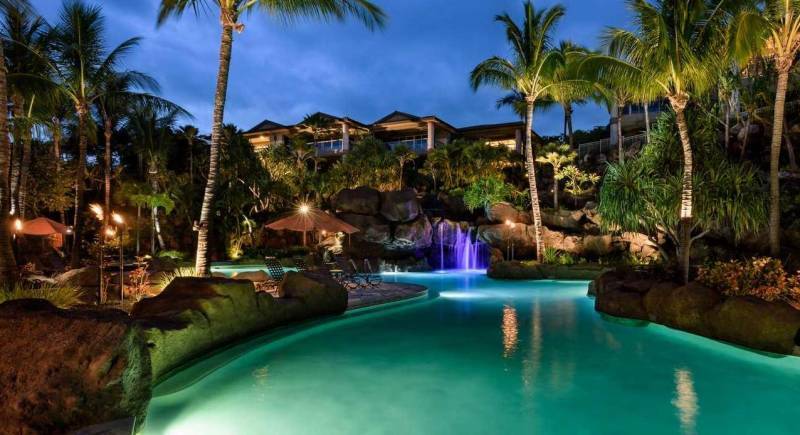 The grotto pool at Hoolei is probably its most distinctive attribute, you can view all Hoolei Condos for Sale here. Hoolei is an extremely well-built complex located in the heart of Wailea right across the street from the Grand Wailea which sits directly on the light golden shores of Wailea Beach. All of the residences here are 3bd/3ba with 3 different floor plans. Those units that are at the top of the complex (closest to Haleakala) command the highest prices as the views are most panoramic/unobstructed from this location. At this time, current values at Hoolei range from just under $2m for a garden view suite to almost $3.5M for a top row ocean view villa. One of the facets that I love most about Ho’olei is that all of the villas have an outdoor kitchen area and a BBQ. For those owners in the front desk rent program that is affiliated with Grand Wailea and who have the Kulana Club membership, they and their guests are entitled to a significant amenities package that opens up pretty much all of the doors for the spectacular amenities between both Hoolei and the Grand. Those owners who rent their properties out independently or through outside rental programs don’t have access to the amenities at the Grand. 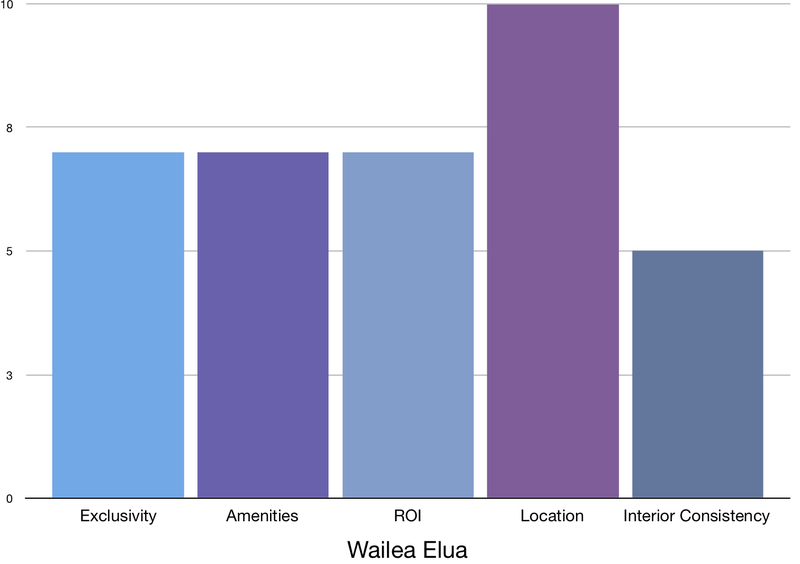 Hoolei properties rent extremely well and from what I have seen is that this range is typically between $200K-$300k in gross annual revenue depending namely on location and management selection/marketing. 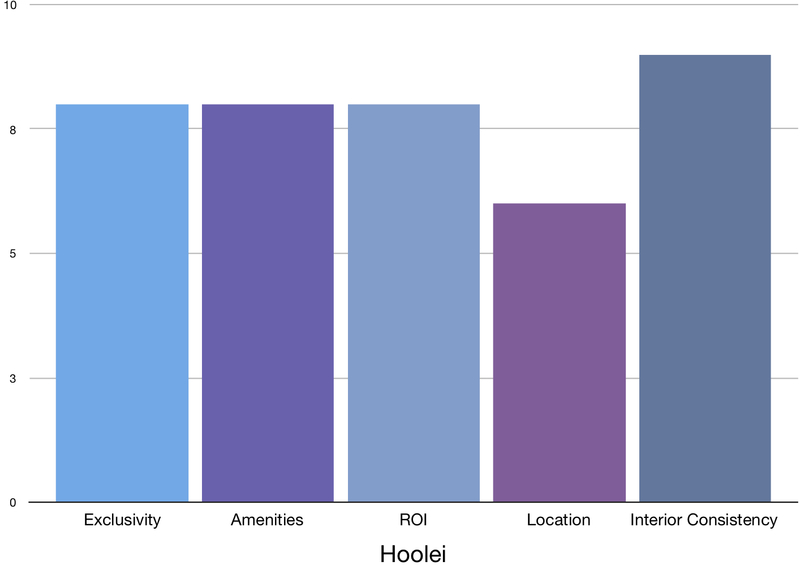 With market prices floating in the $2-3.5M range and fairly moderate HOA fees, the ROI for Hoolei is fairly strong. Wailea Point is renowned for it’s exclusivity and privacy with the lowest density of any property covered here, you can view all Wailea Point Condos For Sale here. Wailea Point is one of the most private and exclusive vacation rental properties in all of South Maui. Located between the Four Seasons and Polo Beach to the East and the Grand Wailea and Wailea Beach to the West. There are 130 units offered in 34 two and three-story buildings that are situated on 28 acres of lush tropical landscaping. With only five units per acre, privacy and exclusivity is paramount. The guarded entry and fortified location out on the point (as well as numerous locked gates on the oceanside of the property) make unauthorized entry rather difficult. For this reason and the current price points anywhere from around $2-$20M I have ranked it at the top of the charts for Exclusivity. Wailea Point is zoned for short term vacation rentals but there is an HOA covenant that restricts these rentals to only 1 rental per month. The demographic of the ownership group here truly values privacy above all else and thus you will find a lower percentage of the properties rented out and for those that are, the property maintains an extremely mellow vibe which is quite different if you were to compare it to both Hoolei and the Wailea Beach Villas. I have ranked Wailea Point low on the consistency scale and this has nothing to do with the immaculate exterior grounds but is based more on the fact that many of the units are still in very original condition whereas others have undergone extensive and more contemporary remodels. With this, many owners absolutely love the older style interior design with lots of heavy natural woodwork. The many amenities at Wailea Point include gated entrances with 24 hour security, three heated swimming pools, a 25-meter lap pool, two large Jacuzzi spas, fitness center, tennis and paddle tennis courts, outdoor pavilions with complete kitchens, multiple barbeque areas, covered garage, and concierge service with discounted golf and tennis rates. The only property located in Makena on our list and the only property approved for short term rentals in Makena is Makena Surf Condos for Sale. Makena Surf is located on Paualea (White Rock) Beach and is extremely private, more than any other complex here as it is bordered by very high-end residential homes on each end of the beach. 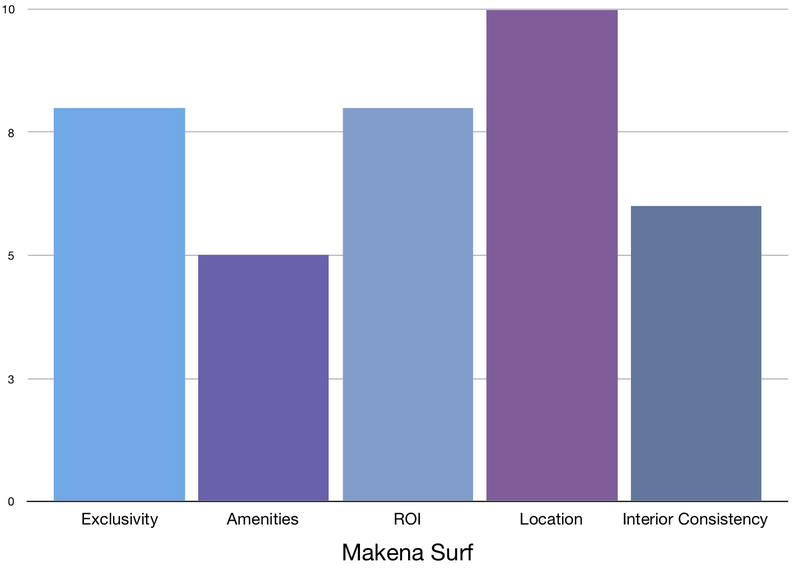 It is important to note that Makena Surf has no elevators so for those with mobility issues, securing a ground floor unit is imperative (I have docked the amenities score for this very reason). Makena Surf very much feels like Old Hawaii, very similar to Wailea Elua. Makena Surf residences rent very well as they are limited in quantity (105 units on 11 oceanfront acres) and there aren’t many places to stay in Makena especially considering the shutdown of the Makena Prince Hotel. 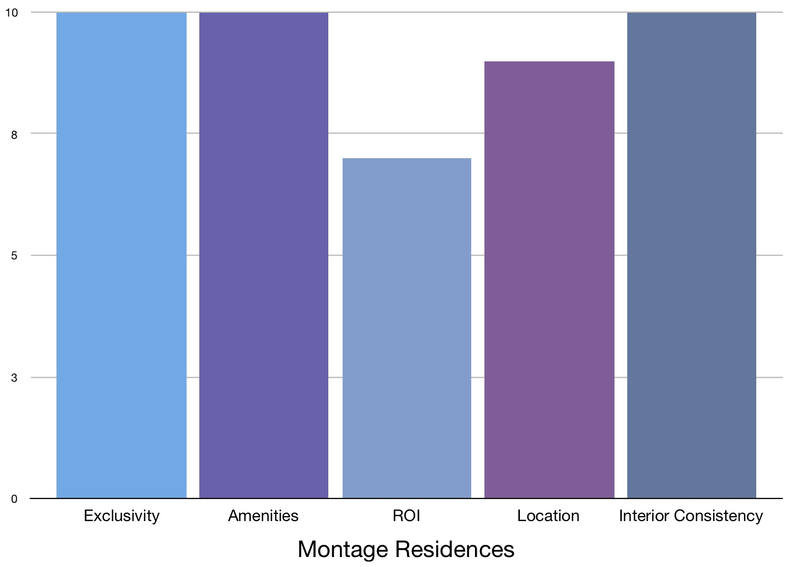 The ROI score is fairly high when comparing the rents to the acquisition (low $2M-mid $3M range, avg. around $2.5M) and carrying costs. Many of the residences at Makena Surf have been upgraded (complex built in 1984) but there are still quite a few that are in original condition. The property features two heated swimming pools, two outdoor spas, four tennis courts, lush, tropical landscaping, and is easy walking distance to the Sea Watch Restaurant or championship golf at Wailea Gold and Emerald Golf Clubhouses. Visitors to Makena Surf remark on the privacy of the beach, the small tidepool perfect for curious children, and absolutely amazing whale watching and sunsets. 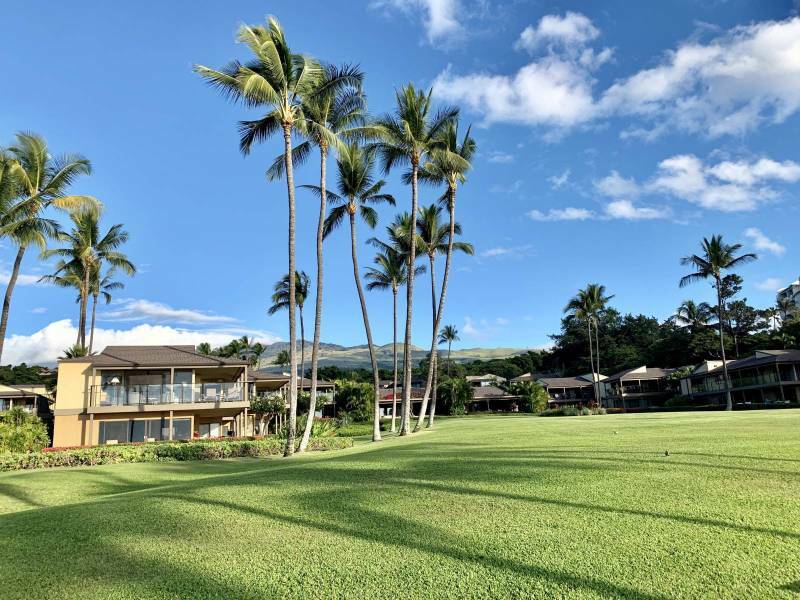 The verdant mauka pastures of the majestic Ulupalakua gently descend to the sprawling grassy lawns fronting the Wailea Elua Condos for Sale and down to reddish golden shores of Ulua Beach. 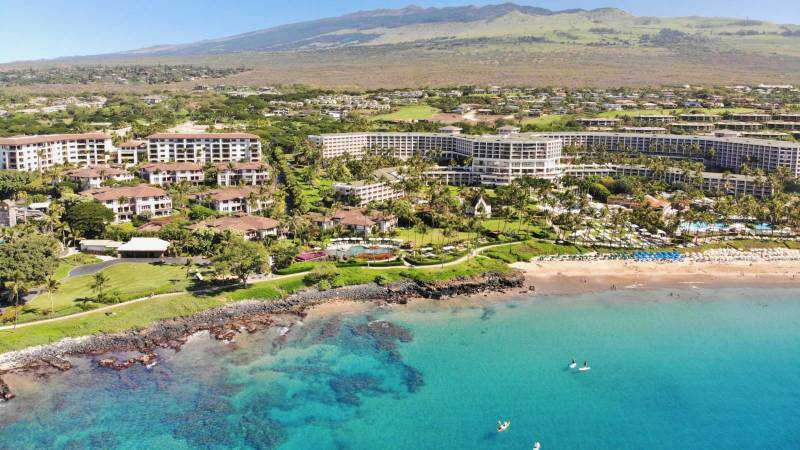 The location of Wailea Elua is absolutely fantastic as it spans the entire length of Ulua Beach and borders the Wailea boardwalk which connects many of the beaches and resorts together. What I like about this particular location is that there is not nearly as much hustle and bustle that you will find on either side of it and Ulua Beach doesn’t get as much traffic either. There are two outdoor pools one of which is beachfront and also a small gym and outdoor covered pavilion. There is also a small putting green and outdoor bbq areas. Many of the Wailea Elua condos have been upgraded but lots of them still remain in fairly original condition hence the lower score for consistency. Wailea Elua is a very mellow and laid back type complex where guests and owners highly value serenity and privacy. 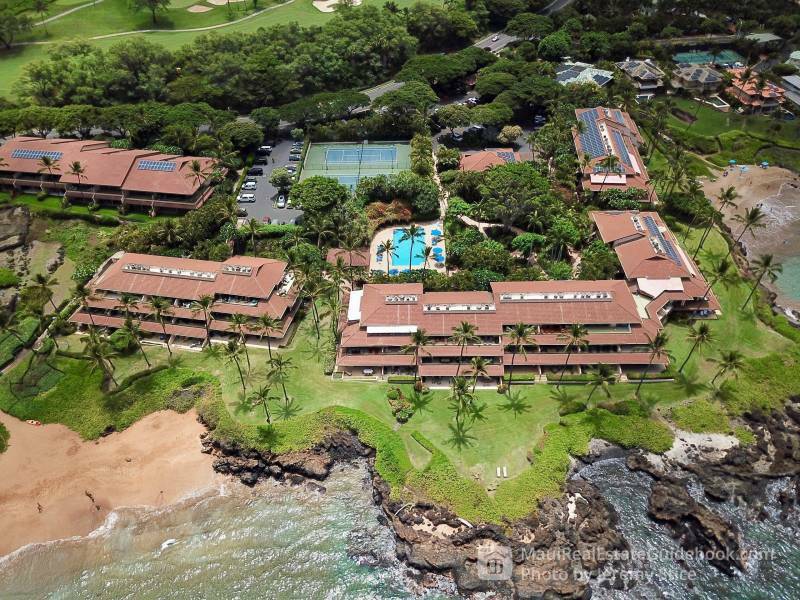 The interior consistencies of Wailea Elua units are all over the place as the complex was built in 1976 and some units are in completely original condition and others have been completely upgraded. I think that the ROI figures in this complex could be much higher but from what I have seen, many of the properties are under-performing for what they are and I think that the interior conditions have a lot to do with this as many guests are looking for much more contemporary finishes. Score:46 making it #1 of 5 in West Maui and #1 on Maui Overall. #15 out of 25 on Conde Naste’s 2018 List. Overlooking and steps from Kapalua Bay the Montage at Kapalua Bay Condos for Sale are my top scoring Luxury Vacation Rental Property in Maui. 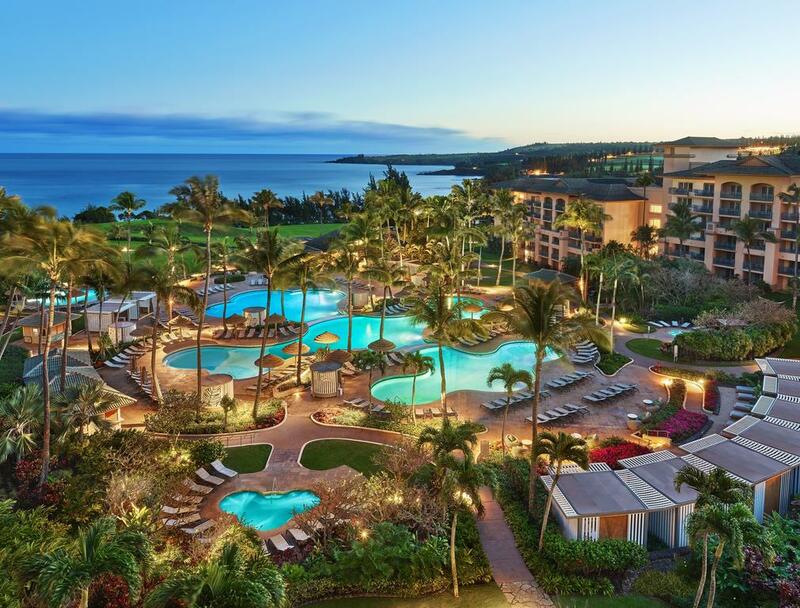 The Montage Kapalua Bay Residences are the preeminent opportunity for this category of property here on Maui. The developer at the Montage has sold out the vast majority of their current offerings but it is rumored that they will be releasing another 13 or so full ownership residences. The Montage has a different set up from all of the other resorts listed in this post in that it operates as a hotel, there are timeshare units available for sale, and there are full ownership offerings of 3 and 4 bedroom residences. The Montage is a highly exclusive resort with its price points ranging from the low $3M range up to about $9M which a recent 4 bedroom residence just closed for- the Montage brand itself emanates exclusivity and quality. The Montage enjoys a secluded location situated between the Kapalua Bay Villas (Vacation Rentals) to the North and Coconut Grove (residential condos) to the South while overlooking Kapalua Bay, Molokai Island, and the famed Cliff House. I have the location as a 9 just because the resort itself is not beachfront. The residences are the largest in all of Kapalua (built in 2008) are extremely well done and consistent, and many of them come completely furnished with contemporary designer furnishings. The Spa and fitness center at the Montage is easily the nicest in all of West Maui. There are several different pool offerings at the resort some of which are more oriented towards families and others a more mature audience. Additionally, there is an owners only lounge/bar and pool that sits on the Southern edge of the property which is extremely private. The sales activity at the Montage has been extremely strong the last couple of years as the developer has been successful in moving the vast majority of their holdings in a very short time period and for record sales prices- namely because it is such an unprecedented opportunity. Many investors have flocked to the Montage because of this rare opportunity and the rental figures are extremely high with demand for rentals being formidable and the highest consistent rates of any operation on Maui. Furthermore, owners have the option to work with the in-house Montage team or two independent vacation rental companies to optimize their investment. Score: 41 making it #2 of 5 in West Maui. #6 out of 25 on Conde Naste’s 2018 List and the #1 resort on Maui from this collection of properties. 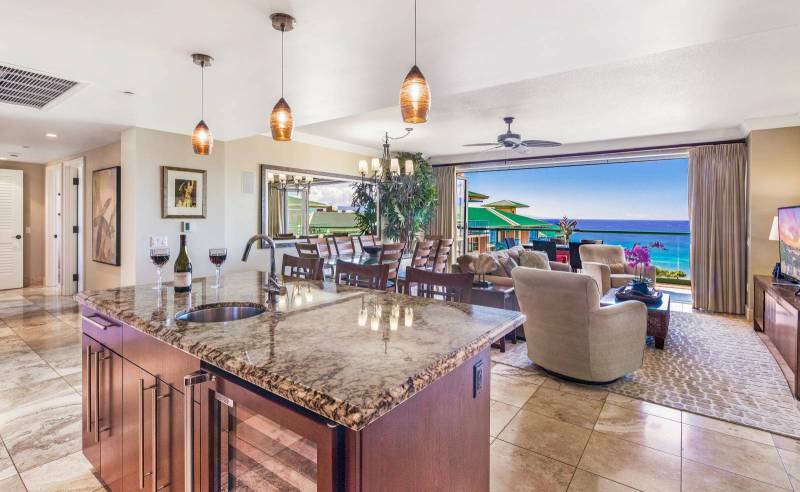 Travertine, designer granite, and handsome Viking stainless appliances coupled with an obstructed ocean and outer island view at Hokulani #825 at the Honua Kai Resort and Spa on the golden shores of Kaanapali North Beach. 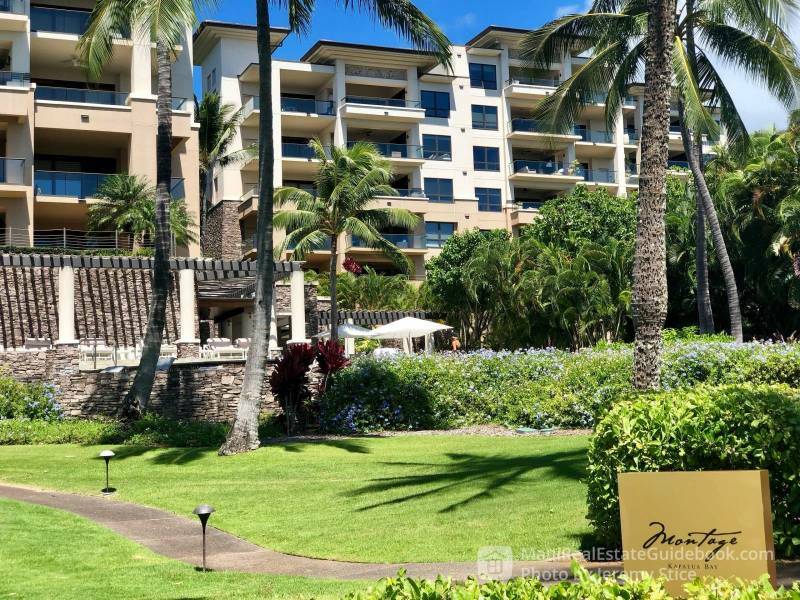 Honua Kai is the newest whole ownership offering on all of Kaanapali Beach with the Hokulani tower completed in 2008 and the Konea tower in 2009 while the construction of its last phase, the Luana Garden Villas. When totally completed, Honua Kai will consist of almost 700 units on 38 oceanfront acres making it the largest of any resort here. Honua Kai ranks low on the exclusivity scale as there is a massive spread in price offerings from studios starting in the low $700K range up to almost $6M for an oceanfront 3 bedroom residence. 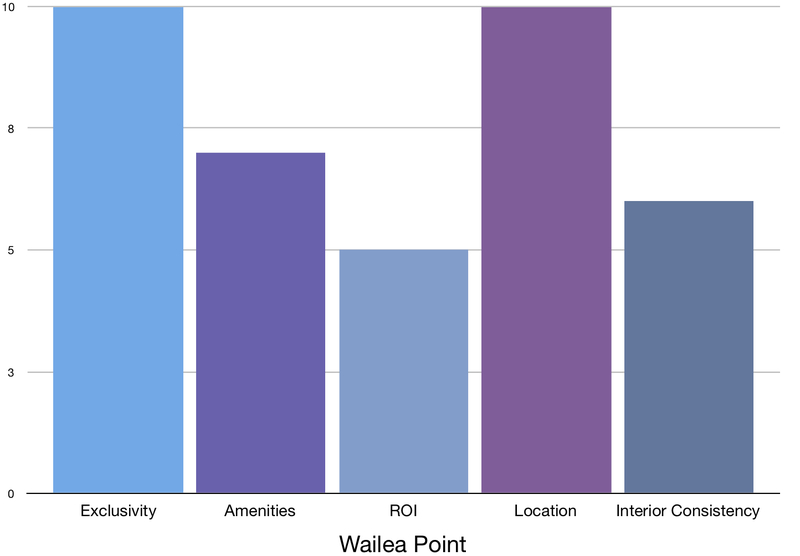 Honua Kai does rank very high from an ROI standpoint (likely the top on Maui) with a moderate acquisition and carrying costs and extremely strong rental returns at just about every price point. 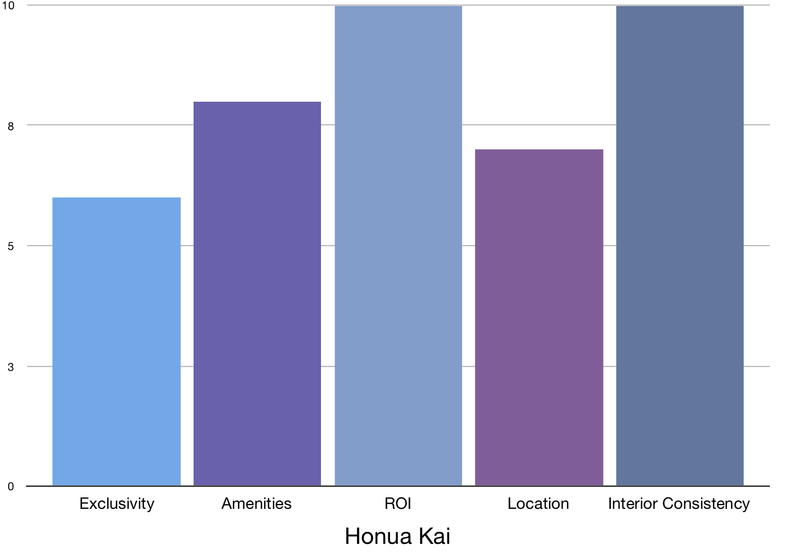 Honua Kai ranks at the highest end of the spectrum for consistency as it was completed in 2009 and most of the units look the same or very similar. I have assisted roughly 30 buyers and sellers at this resort with their transactions and my wife and I personally own an investment property so I know it very well. I would’ve ranked Honua Kai higher on the amenities scale because the pools are absolutely awesome (the most extensive on this list) but there are no tennis courts onsite. 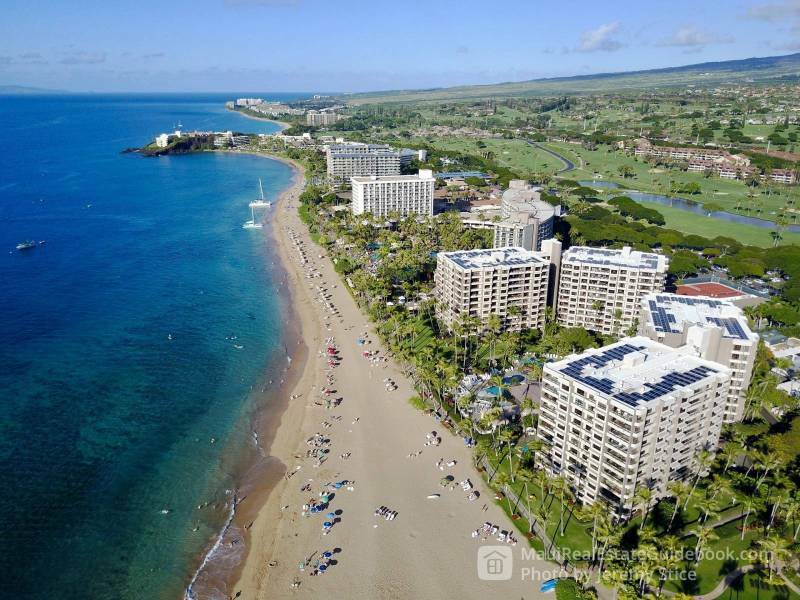 I also ranked the location a bit lower than others because many feel that Kaanapali Beach is not on the same scale as many of the other beaches where other resorts are located upon here. Score: 40 making it #3 of 5 in West Maui. #20 out of #25 on Conde Naste’s 2018 list. The Ritz-Carlton Residences, Kapalua are located at the Ritz-Carlton Kapalua hotel and are not the same as the former Ritz-Carlton Club and Residences, Kapalua Bay, which has now been rebranded the Montage Residences, Kapalua Bay. The developers converted one and two bedrooms rooms on the North Wing of the resort into whole ownership offerings. With this, they completed remodeled the interiors of the residences during the last couple of years and now the lobby area at the hotel is being refreshed as well. The Ritz residences looking directly out at Molokai island and sit on a bluff above Flemmings Beach which makes it the furthest walk to the ocean for any of the properties on this list. 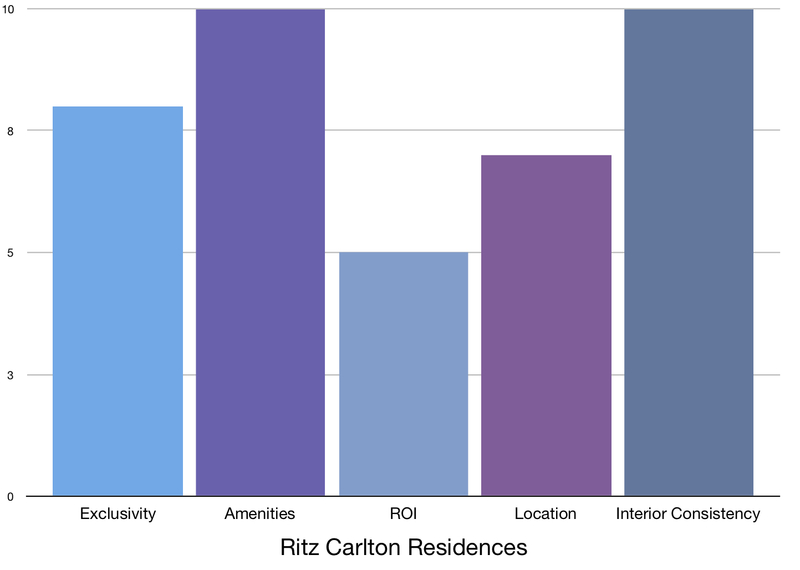 The Ritz properties rent extremely well but the HOA fees are absolutely off the charts considering the price/sq.ft. of interior living area (usually the metric for basing HOA fees) and the management costs are substantial as well. The amenity offerings at the Ritz are top notch. Here is a digital rendering fly though of the Luana Garden Villas Condos for Sale, which are currently under construction and are offering their final developer phase of sales. The Luana Garden Villas are a collection of 72 three bedroom/three bathroom townhomes (4 units per building) that are currently under construction and comprise the final phase of the Honua Kai Resort and Spa. Investors relish in the fact that this is brand new construction with very contemporary design elements at a resort where overall popularity and rental income figures have been flourishing. I am basing my ROI figure off acquisition and carrying costs as well as what I anticipate the rental income to be like. 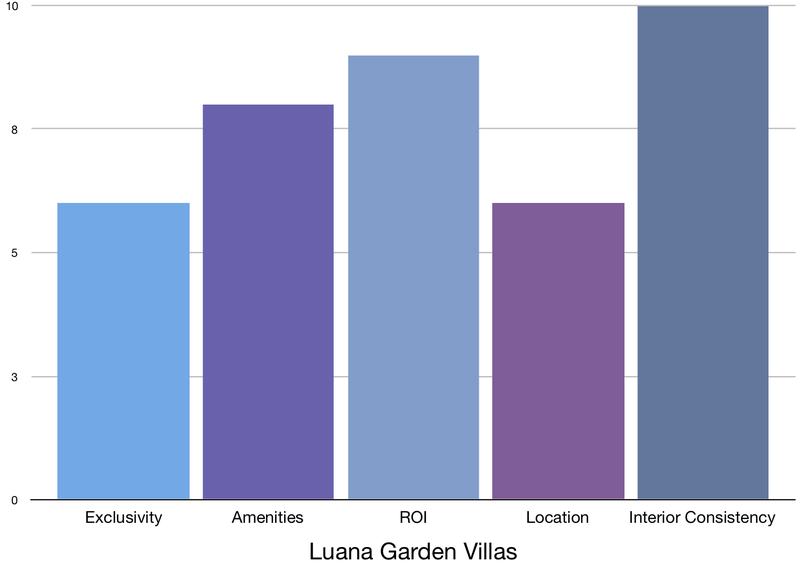 Here is a post that I wrote about Luana and it’s important to note that the developer just released their final phase of offerings starting in the low $2M range. The Kaanapali Ali’i is located right in the heart of the hustle and bustle of Kaanapali along the boardwalk that spans the entire length of the beach. 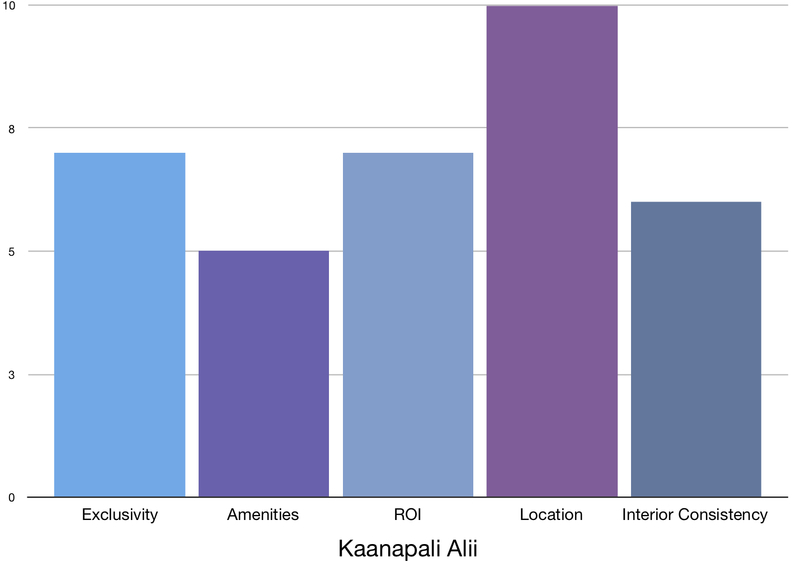 The Kaanapali Ali’i has a very strong repeat guest and ownership following (there are tons of transactions between existing owners). There is an extremely wide range of interior finishings at the Ali’i as the building was completed in 1982 and many units have been substantially upgraded whereas others are in original condition. The amenities at the Ali’i rank at the lower end of the spectrum for this list as the pool at the Ali’i is rather pedestrian and other offerings are more limited when compared to the other properties. The Ali’i have the very best view in all of Maui in my opinion with panoramic shots of Lanai and Molokai islands, Black Rock, year-round sunsets, and spectacular whale watching as they come very close to the shoreline here. Exclusivity also ranks a little lower here as you have a wide range of offerings with price points starting in the lower $1M range for a garden view original condition two bedroom unit up to around $5M for remodeled three bedroom oceanfront residences. There are currently many units for sale at the Ali’i so its a great time to be a buyer if you are looking at this particular complex. Purchasing a Maui Vacation Rental? 3 Reasons to Call Us First! Jeremy Stice is a REALTOR(B) with Hawai'i Life. You can email me at	Jeremy@HawaiiLife.com	or via phone at (808) 281-2178. Excellent blog; great information and insights. Well done Jeremy. Mahalo for taking the time to comment on my post and I am glad that you enjoyed it. I appreciate your compliment.Please let me know if I can ever be of service. Mahalo and take care!